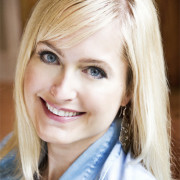 Rachel is a Contributing Editor to this website. Click here for her bio which can be viewed on the Editorial Team page. 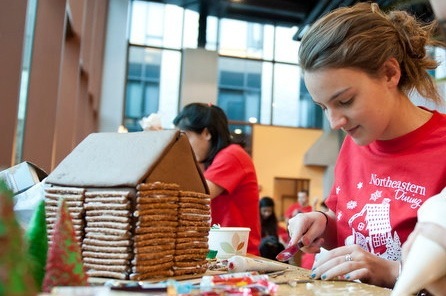 As a middle school student in 2004, Rachel participated in The Brick Project seminars under the guidance of her teachers Joanne Amaru and Joan Barnatt at the Cape Cod Lighthouse Charter School in Orleans, MA. Rachel’s former middle school teachers in Cape Cod, Joanne and Joan, are both featured in Part Five and Part Six of The Brick Project Conversations. Her previous interview was also on the subject of water resources. She interviewed Dr. Peter Gleick, a leading expert, innovator, and communicator on water and economic and environmental justice and sustainability. Rachel’s interview with Dr. Gleick is Part Seven of The Brick Project Conversations. 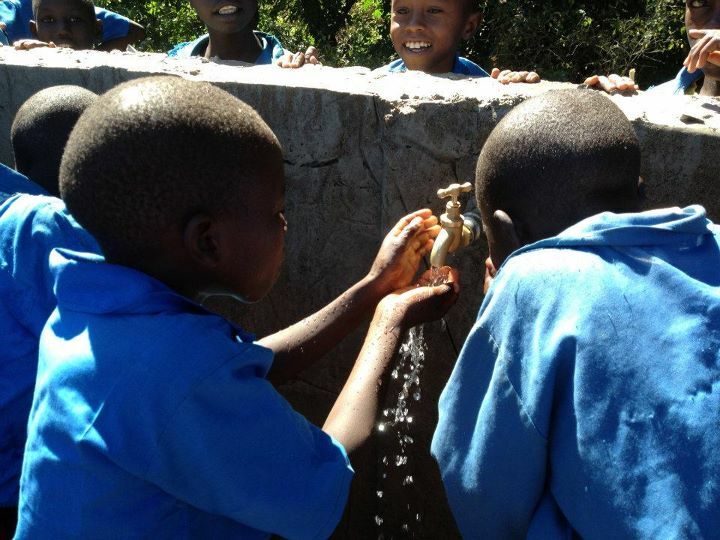 Sarah started WellAware in 2006 to help a friend get water to her father’s village in Kenya. 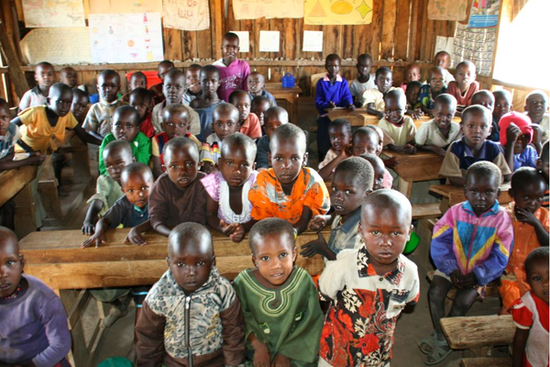 From there, the nonprofit’s inspiration and magnitude only grew and now, WellAware is a thriving organization that deals not only with water capacity and quality issues but also works with schools and health clinics as well in areas of Africa. 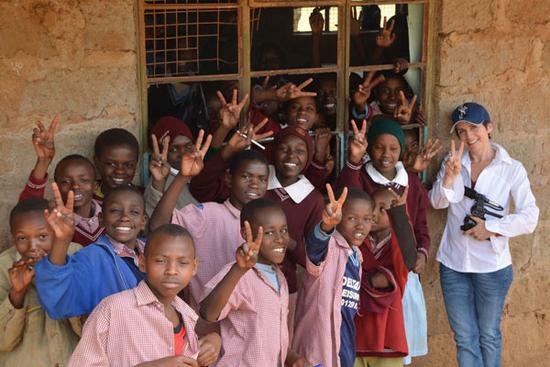 Sarah found this path from an unlikely start in law school and though she admits that her education hasn’t entirely connected with her new life aspirations, her experience thus far from corporate America to the heart of Kenya has been an incredible journey. Since managing their first well project in 2010, WellAware has now funded over 15 water projects and grown in its capacity to reach areas in public health, education, engineering, agriculture, community building and sustainability. Let’s start with the basics: what started your interest in development work? How did your education in Texas impact this interest? When in college and law school, I wasn’t planning on working in development in Africa, but I always did want to work on the world and not just in it. I honestly didn’t know how important this work is- and the global impact it has- until I started doing it. I made a commitment to a friend to help her family, and when I saw the potential when implementing that first project, I knew I wanted to devote my life to building better water aide for developing countries. As a current undergrad looking to become involved with development work and poverty relief, I love hearing stories of degrees being used in interesting ways. How have your degrees contributed to your work with WellAware? That’s an interesting questions, because I thought my law degree would be important in leading our nonprofit. But, it’s really not. I suppose it was somewhat helpful in setting up our charity in the beginning, but now it’s just something I’m still paying off. (But I am still so glad I went- we had amazing international professors at SMU, and I was able to travel a lot.) However, my communications training in undergrad is probably pretty useful. As our organization grows, it’s more important to be able to communicate our work (and how we are different) well, and I have frequent speaking engagements that require the confidence I gained from my speech classes in college. Looking through your website, there is an impressive list of completed projects that WellAware has completed. Out of all of them, do you have a favorite? One where you felt your organization has the highest impact? While I feel like a proud mother of them all in a way, I think I am partial to our Daaba project. 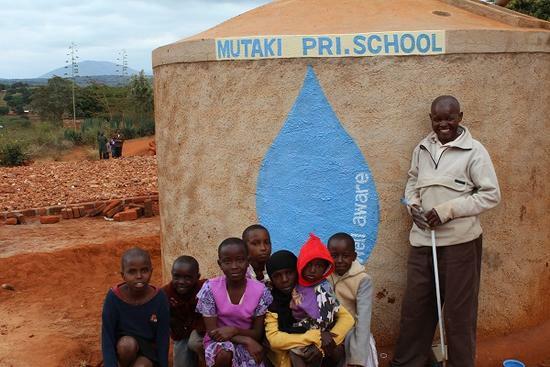 Broken water wells are heartbreaking and too common in Kenya. 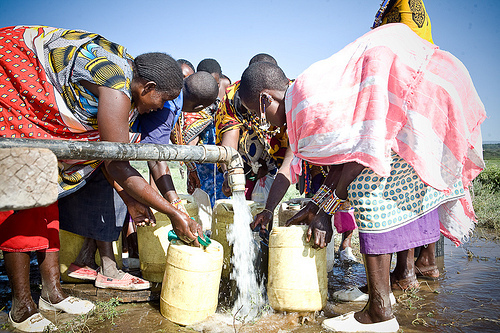 In Daaba, the Kenyan government installed a water well with a generator that the community could not afford to fuel. It was just sitting there unused, and the children in the community were dying in the contaminated hand-dug well they were forced to climb down into every day to retrieve dirty water. We rehabbed this well and worked with our partner orgs to further develop the infrastructure there (classrooms, medical clinic, etc. ), and this community is now flourishing 2 years later. 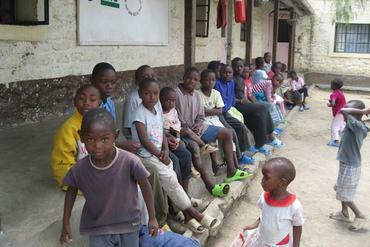 The children are well and attending school; the girls there are going to the 8th grade for the first time ever! (Note: this project actually inspired our new project initiative, and, if you are interested, the overview is on our website: click here). In your article with “Architects for Change” you reference several challenges and low points that threatened to end your work. What are some of the major conflicts you have come across in completing these projects? I learned a few hard lessons in the very beginning. But, I am glad I did. Each challenge inspired the way we work now, which is a better, more realistic and efficient way to provide water aide. One of my biggest mistakes was in partnerships and trust. Before we implemented our first well, one of our team members’ family stole funds from our organization that were to be used for drilling. It was a devastating revelation and an education that has dramatically changed our partnership and team vetting process. We now have an incredibly high standard for partnership and team, and we follow strict procedure on all projects. We have not had any problems with this again. I learned another lesson that was extremely important: Technical attention to every project is a critical part of this work. We did not have technical experts on our first two projects, but we hit water and they worked – we got lucky. This drilling success is uncommon without thorough technical and environmental evaluation and planning. Only one in seven water wells drilled in Kenya yields adequate water (due to lack of technical review). We now have teams of hydrogeologists and engineers who help us implement projects with 100% success. Your major inspiration seems to come from one life changing moment in rural Kenya. What other inspiring moments have you experienced through your work? I am also inspired everyday by my team. Our board, our projects teams, and our staff are comprised of exceptional people who have devoted themselves to this work. This is a very special group of people who want more than just help people- they want to know the right way to really change lives and be responsible stewards of our supporters’ contributions and trust. Tell me more about WellAware’s current projects in Kasarani and Maai Mahiu. (We are referring to Kasarani now as Ndabibi, since that is the more specific location). Ndabibi will be our most impactful project to date. We are so excited to work with this community, since they have also worked hard to plan their new community water well and organize themselves into committees to oversee the water system and hygiene and sanitation. This community had a functioning water well that broke, and we are going to utilize some of their existing infrastructure and drill a new borehole that will serve 20,000 people there. Your portfolio seems incredibly diverse considering the variety of tactics you incorporate to increase access to fresh water. What are the different approaches you’ve utilized throughout your work? We do implement a variety of water solutions that are tailored to the needs and potential of each community, as well as environmental and cultural limitations. This is key to water system sustainability and community development success. We drill water wells, install gravity-driven pipelines and install rainwater collection systems and UV purification (and often hybrids of each). What challenges and benefits can be seen from the different methods? And what advice have you for those looking to pursue global poverty relief as a career? I would say pick a specific area and get to know it well. I think focussed attention is key to making a difference overall. Each area of development requires realistic and long-term thinking and application, and this can only be achieved by being a devoted student of these challenges- learning about the true and future implications of the work, understanding what communities really need and want, and constantly evolving with new information. How did you get the idea for the Shower Strikes? Was it difficult to originally gather support for a project where people would give up basic hygiene? We had a small team of volunteers at the time, and we were sitting on my living room floor and brainstorming about how we could raise fund for the first project. I worked from home at the time and often didn’t really “get dressed” every day. So, Sarah (another Sarah), said, “Hey, Sarah (me), you don’t shower anyway, how about we go on Shower Strike!” We all laughed a lot. But, then, we considered how we could actually pull that off. We thought it might be great for awareness, but we weren’t sure we could raise money. However, we recruited about 12 shower strikers that first year (2009) and raised almost $25,000 in a week. We then knew we were onto something, so I trademarked Shower Strike, and it has grown bigger every year since.